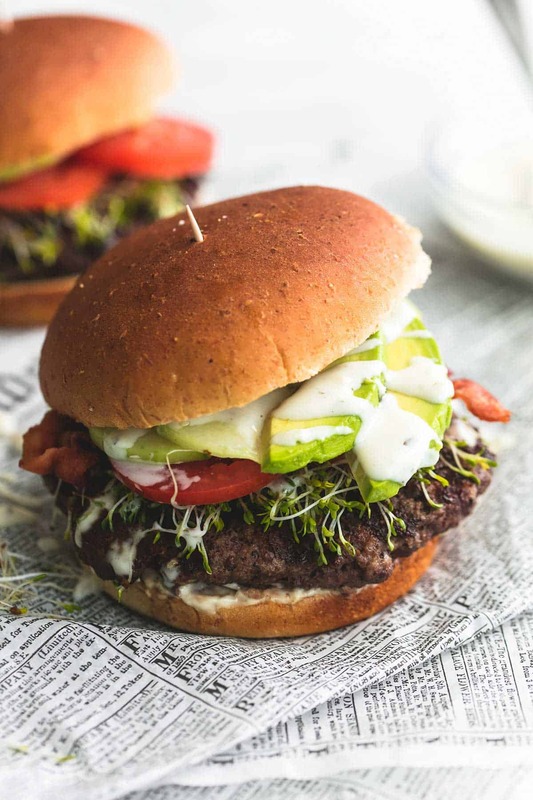 Whip up this California club burger with garlic and smokehouse black pepper, topped with cucumber, sprouts, avocado, bacon, and creamy ranch dressing. Happy May and happy National Burger Month! I kind of feel like Memorial Day is the official unofficial start of Summer, and I can’t think of a better way to kick off Memorial Day weekend and Summer than with a juicy, tasty burger. If you haven’t already busted out your grill this season, Memorial Day is the perfect time for that too. Earlier this month, McCormick announced its and McCormick’s signature bold BBQ flavors will help take your grilling to the next level. Check out their amazing tips at https://www.mccormick.com/grilling-flavor-forecast-2017! This California Club Burger just might be my new favorite burger. I feel like we so often overthink burgers, but the key is to keep it simple. 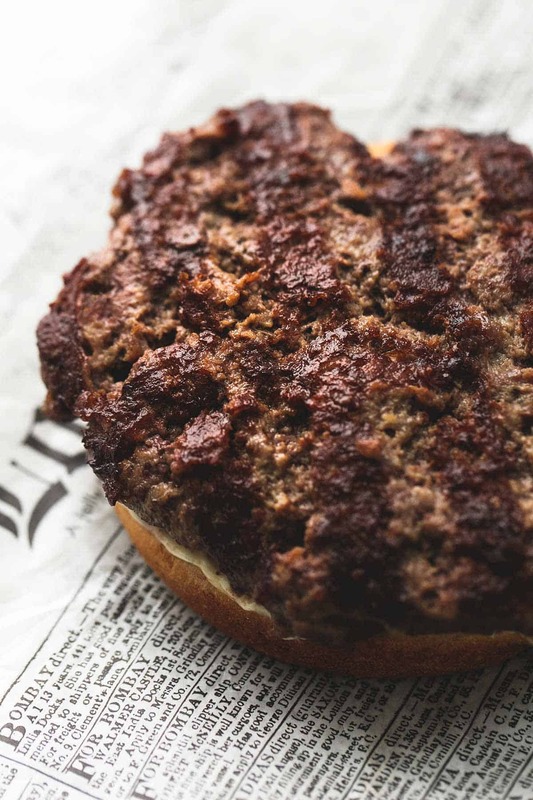 All you really need is salt, garlic powder, and bold smokehouse black pepper to turn lean ground beef into a flavorful and tasty burger patty. 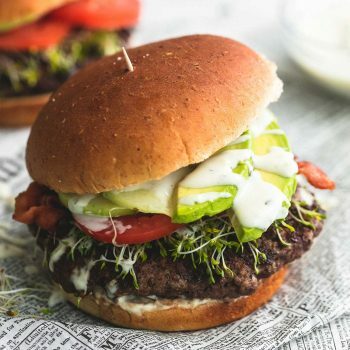 Top off that patty with all the fixin’s like fresh sprouts, cucumber, avocado, and bacon (because BACON) and a hearty drizzle of creamy ranch dressing. 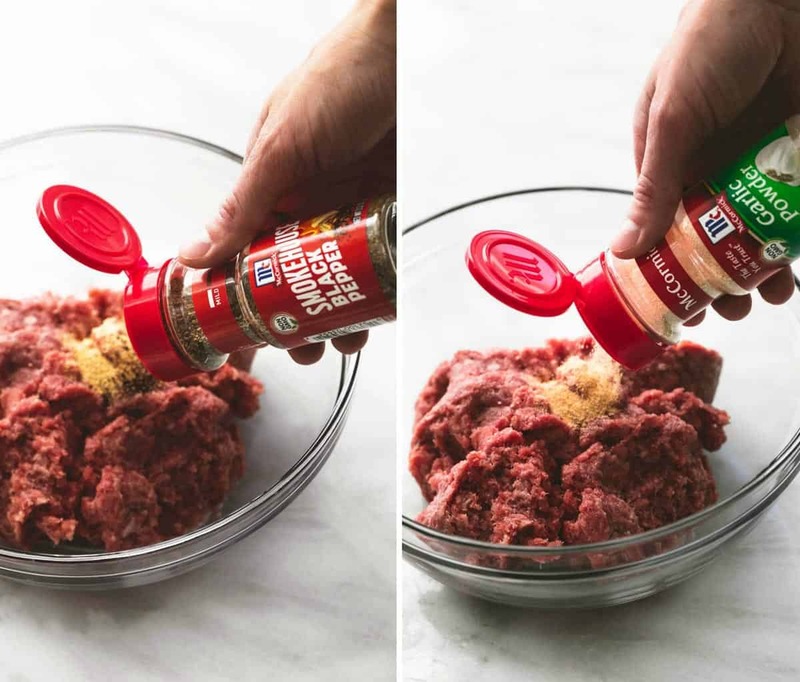 Combine ground beef, salt, garlic powder, and smokehouse black pepper in a medium bowl. Mix well. Form into 4 equal portions, shape each into a ball, then flatten to less than 1/2 inch thickness. Cook patties on preheated grill over medium-high heat for 5-6 minutes on each side until burgers reach desired doneness. 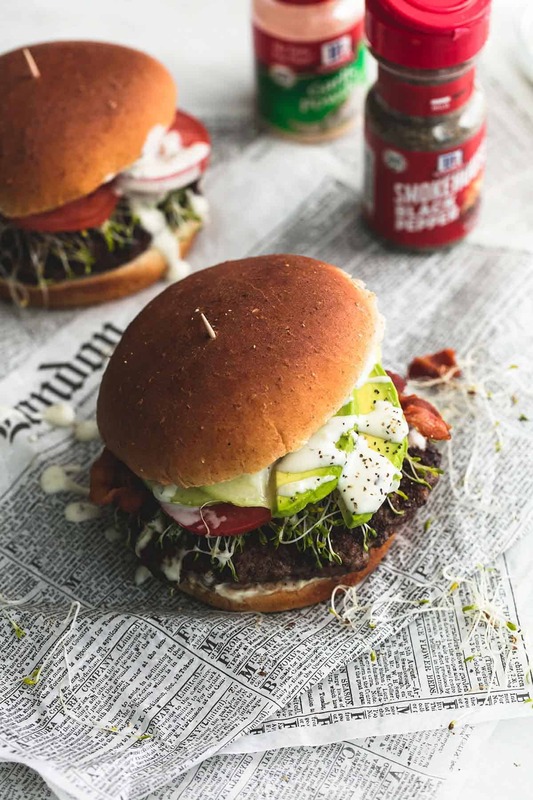 Assemble burgers with mayo on the bottom, topped with burger patty, avocado slices, tomato slices, sprouts, cucumber slices, 2 slices of bacon each, and a drizzle of ranch dressing. Serve immediately. This recipe is in partnership with McCormick. 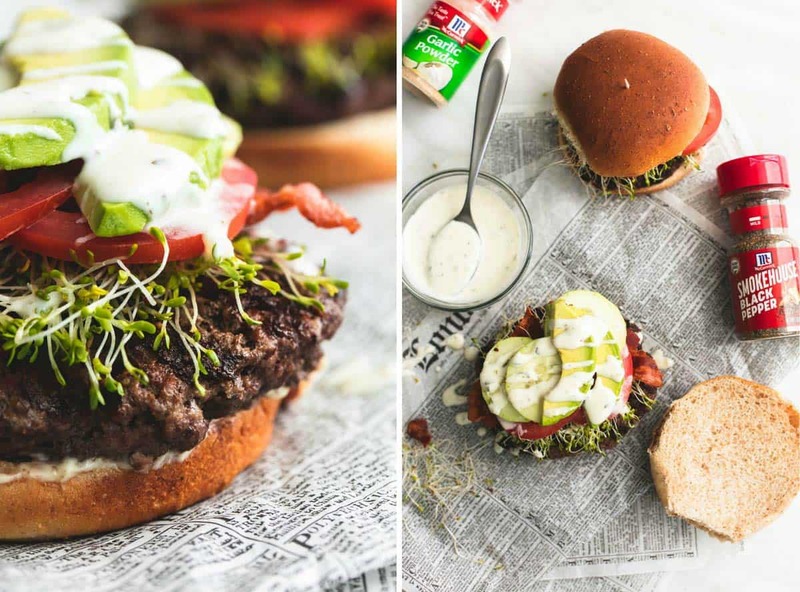 Try these other Burger Recipes you'll love! I made this tonight, and it was SO good. I couldn’t find sprouts at the grocery stores here, I went to two different ones, and both were sold out, so I just left those off, but other than that I kept it the same. I will definitely be making these again! These California Club Burgers look so good. I am always looking for a different way to prepare a burger. I’m anxious to try them. Shared and pinned. Thanks again.